A giant impact 66 million years ago might have hit the Earth hard enough to cause our planet to leak lava, contributing to a mass extinction. The Chicxulub crater, which is centred just off the Yucatan peninsula of Mexico, was created when an asteroid or comet at least 10 km across slammed into the Earth at roughly 70,000 km/h. The energy of the impact is estimated to be equivalent to 10 billion Hiroshima atomic bombs. Evidence suggests it caused a global firestorm, followed by massive climate disruption. Seventy-five per cent of our planet's species died, including the dinosaurs. That's not the whole story, according to research by Dr. Leif Karlstrom from the Department of Earth Sciences at the University of Oregon. He and his colleague Joseph Byrnes found evidence that the impact also caused massive leaking or "burping" of magma along weak spots in the Earth's crust, also known as the mid-ocean ridges. 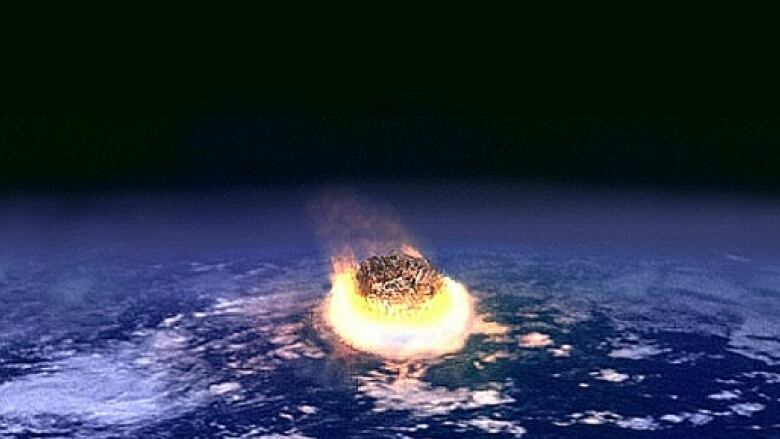 The impact was so violent that it shook the entire planet, says Karlstrom. "The Chicxulub impact radiated seismic waves that were much larger by orders of magnitude than any tectonic earthquake, and those were powerful enough to flush out magma, or cause this 'burp,' along mid-ocean ridges globally." It was difficult evidence to find, says Karlstrom. Magma flows from the mid-ocean ridges more-or-less constantly. The team had to survey the entire ocean floor globally to look for signs that more magma had been produced after the impact, 66 million years ago. "It's a bit tricky to do this," he says. "We have better topographic maps of the surface of Mars and Venus than we do of the ocean floor." Recently, the team has been able to use new topographical information cleaned from satellite data to help their research. These satellites monitor the height of surface of the ocean and see where there are "bumps" where the surface of the ocean is slightly elevated. This is caused by extra material at the bottom of the sea exerting slightly higher gravitational attraction on the water — "piling up" a little bit of the extra water. Using this data, they were able to find evidence of huge amounts of extra magma flow on the sea floor dating back to the time of the impact. They estimate that at least 100,000 cubic kilometres of extra material flowed out into the oceans. That's enough to cover all of North America 40 m deep. Seafloor eruption ( NOAA, NSF)Karlstrom's team suspects this may have contributed to the mass extinction following the comet's impact. Parts of that extinction event are still unexplained, including evidence for changes in the chemistry of the oceans that wouldn't have occurred as a direct result of the impact. 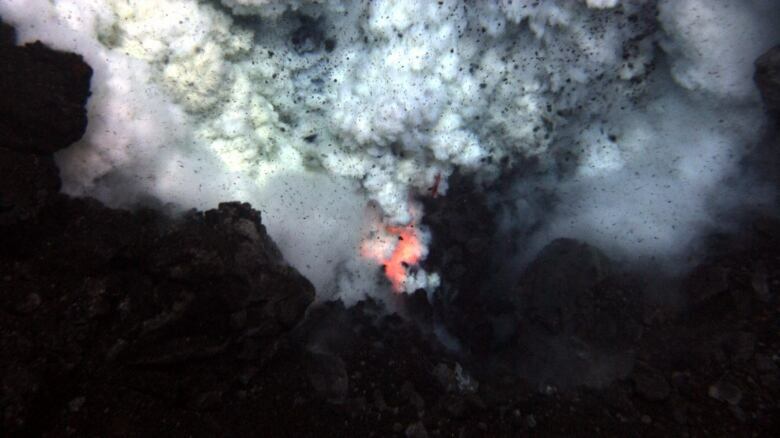 They hope to investigate this further to determine if the huge flow of lava into the oceans resulted in ocean acidification, or other changes in ocean chemistry, that could have contributed to the devastation of ocean life after the impact. Corruption, bribery and cover-ups: Is the sugar 'conspiracy' too sweet? Do offshore wind turbines generate noise that is harmful to marine life?